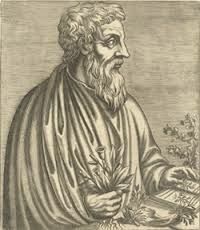 Theraputic Essential oils have been employed for their medicinal valueas far back as 40-50 AD when the Greek physician,pharmacologist and botanist Pedanius Dioscorides described their use in his five-volume pharmacopeia, "De Materia Medica". the immune system and promote healing in the body. Used for soothing sore muscles and joints, to ease breathing, and as a cooling agent for the skin, also used to help treat migranes, stimulate the mind, increase clairity of thought and aid in digestion. Use for depression, respiratory infection, also physical stress. Use as antibacterial, antifungal...also use for diabetes, respiratory infection, skin moles, pneumonia, warming, use for cataracts by diluting 1 drop of cinnamon oil in 4 drops of vegetable oil and apply to the bones around the eyes to ease discomfort. Used for the rebuilding of the immune system after exposure to radiation..also used to ease breathing as well as a throat gargle. It can be used to ease tight, tense muscles and used topically to support localized blood flow. It builds corpuscles, especially the white cells. Use for Asthma, bronchitis, congestion, cooling, coughs, dysentery, fever, flu (influenza), hypoglycemia, inflammation, jet lag, malaria, measles, neuralgia, sinusitis, tennis elbow, tuberculosis. Use for relaxation, immune support, arthritis, asthma, carpal tunnel, coma, concussion, confusion, depression, skin infections, inflammation, mental fatigue, skin moles, multiple sclerosis, parkinson's disease, tumor, ulcers, warts, wrinkles, postpartum depression. Frankincense oil is high in sesquiterpenes, which have been studied for their potential to go beyond the blood-brain barrier and to help oxygenate the pineal and pituitary glands. Frankincense has also been used for disinfecting and stimulating the immune system. Use for diarrhea, gas (flatulence), indigestion, morning sickness, nausea, rheumatic fever, scurvy, vertigo, vomiting. Grapefruit oil has a refreshing aroma that is uplifting to the mind and can help relieve anxiety. It has been known to help depression, drug withdrawal, eating disorders, fatigue, gallstones, jet lag, migraine headacens, premenstrual tension and stress. Use for appetite suppresant, bulimia, cellulite, overeating...also use for lymph flow and to clean cutting boards and countertops. In a diffuser for 10-15 mins. Every hour for 4 hours to kill airborne germs and freshen the environment. Place 2 drops of diluted blend on your chest to reliever cough, cold and bronchitis, pneumonia and to clear phlegm. Rub in gently and feel the respiratory system clearing. Place 1 drop on the bottom of your feet for an overall body detox and boost your immune system, rub in with gentle massaging motion. You can also use in small spray bottle and mist the air in home and car. Lavender has been called the "universal oil" because it has been known to work wherever there is a need. It is most commonly used as a seditive or to create a calming, peaceful atmosphere. 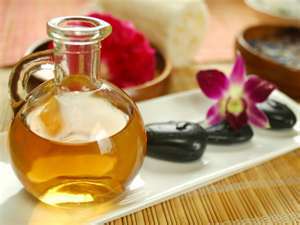 It has also been known to help acne, burns, nausea, stretch marks, infections wounds, headacnes. bruises, sprains and tension. Use for addictions, airborne allergies, skin allergies, anxiety, blister, boils, chicken pox, dandruff, depression, grief/sorrow, hair loss, insomnia, itching, jet lag, poison ivy oak, scarring, sedative, stress, sleep, teething pain, thrush, vertigo, wrinkles. Lemongrass oil was used historically not only to help keep insects and bugs away, but also to help fight infectious illnesses. Lemongrass oil has also been used to help with inflammation, digestive problems and to improve circulation. Also use to support healthy digestion, and soothe aching muscles. Use for bug repellent, insect repellent. It can have a grounding, balancing effect on the emotions while providing excellent mood support. Patchouli is also widely used for wounds and tissue repair, as well as in skin care preparations for these same properties. According to mythology when Pluto professed his love for Mentha. Pluto's jealous wife crushed Mentha into the ground. Unable to restore her, Pluto transformed her into a peppermint plant that would give a beautiful fragrance whenever stepped upon again. Peppermint oil has been used for centuries to soothe digestive diffculties, freshen breath and relieve headaches. 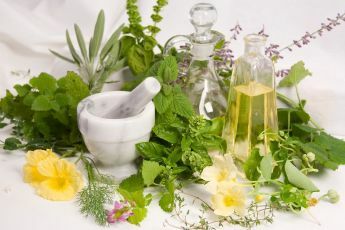 Peppermint oil has also been know to help inflammation, nerves, toothaches, motion sickness and feelings of depression. Use for alertness, airborne allergies, antioxidant, stomach ache, diarrhea, flatulence, antibacterial, antioxidant, asthma, autism, bad breath, chronic fatigue, cold sores, congestion, cooling, abdominal cramps, muscle cramps, energizing, fever, flu (influenza, gastritis, headache, heartburn, heatstroke, herpes simplex, hives, hot flashes, indigestion, IBS, jet lag, migraine, memory, motion sickness, muscle fatigue, nausea, polyps (colon), Radiation, sciatica, sinusitis, ulcer, varicose veins, vomiting....also use to ease breathing. Use for coma, confusion, hiccups, laryngitis, Radiation (UV), sunscreen.....most notable for its smoothing effects on skin and for its mood-enhancing properties. Vetiver has many therapeutic uses, including as an antioxidant and for relaxation. Used primarily for ADD/ADHD. Use for calming colic, hair loss, high blood pressure, hyperpnea, relaxing, stress, tension. It is an effective mood uplifting agent as well as having calming properties. These statements have not been evalated by the FDA. These statements are for informational purposes only and are not intended as a substitute for medical counseling. This information is not intended to diagnose, treat, cure or prevent any disease. This author shall have neither liability nor responsibility to any person or entity with respect to any loss, damage or injury caused or alleged to be caused directly or indirectly by the information contained on this website.